Best priced home for this sq ft and quality. 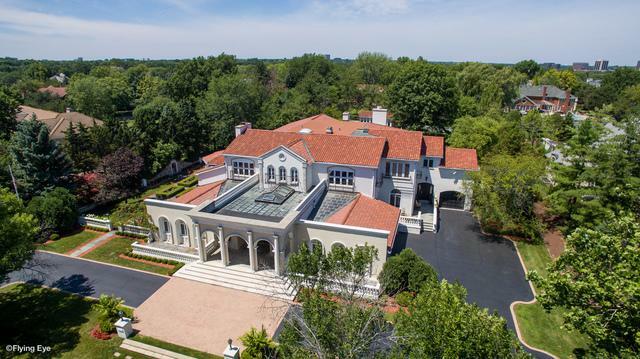 Oak Brook's finest - Luxury abounds this palatial Mediterranean Estate sited on over 1.02 acre interior lot in gated, guarded Hunter Trails. Over 11,350 sq ft + 5631 sq ft finished l/level. 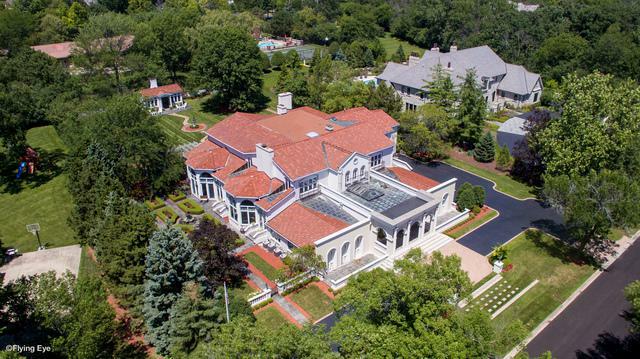 8 bedrooms, 7 full & 3 half baths, 6 fireplaces. Finest appointments throughout. Rooms of grand proportions & soaring ceilings, magnificent entry leading to formals, ballroom size 2 story 25 ft high great room, 2 story 25 ft high music room overlooking beautifully landscaped terraces & patios all around. Large formal dining room, reception room, library & sunroom. Chef's kitchen with high end Viking,Subzero appliances, leading to breakfast room. Beautiful gazebo w/fireplace & double door entry. 4 car garage/circular driveway/side drive. New Trane Furnaces and Acs. Luxurious master bedroom suite. 1st floor bedroom suite. This home is perfect for entertaining & family living. Must see to appreciate the true magnificence of this remarkable home. LOW Taxes.